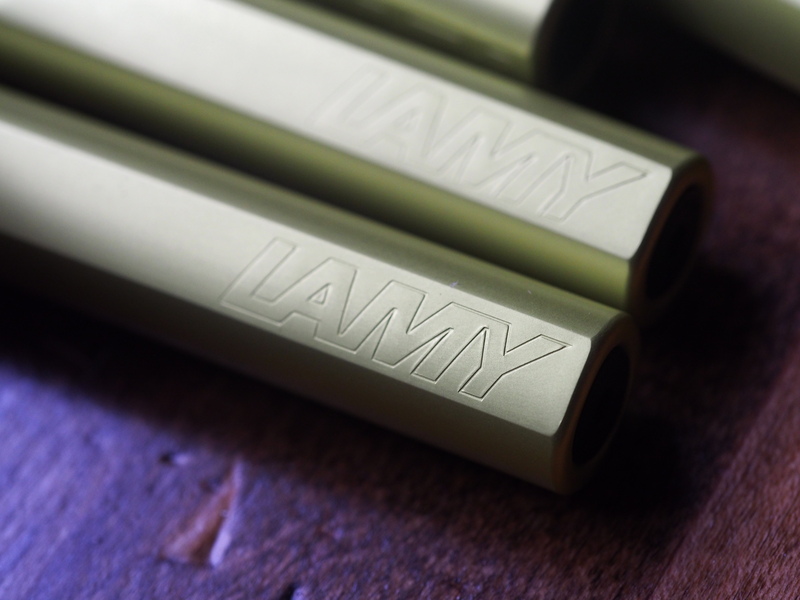 Lamy’s 2016 Al-Star is in! 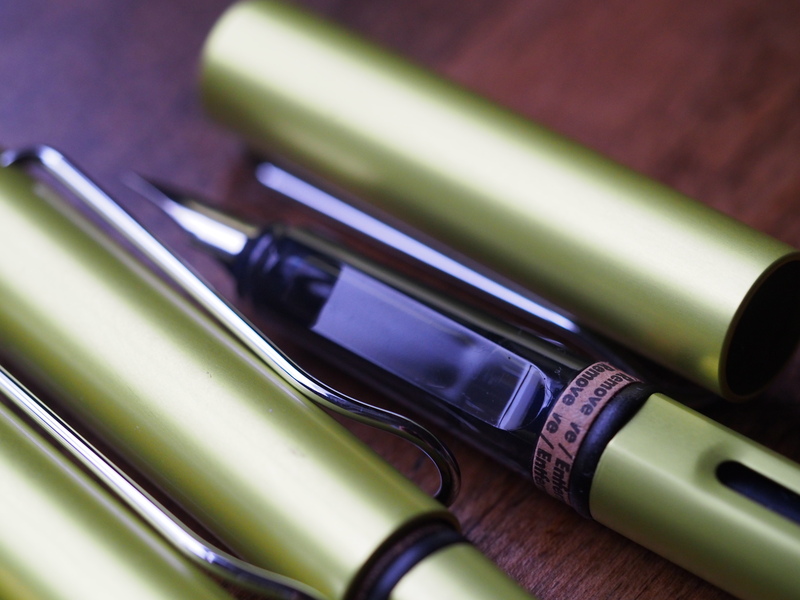 It’s called Charged Green, and being an Al-Star, it’s a metallic, almost olive green. It’s a beauty. 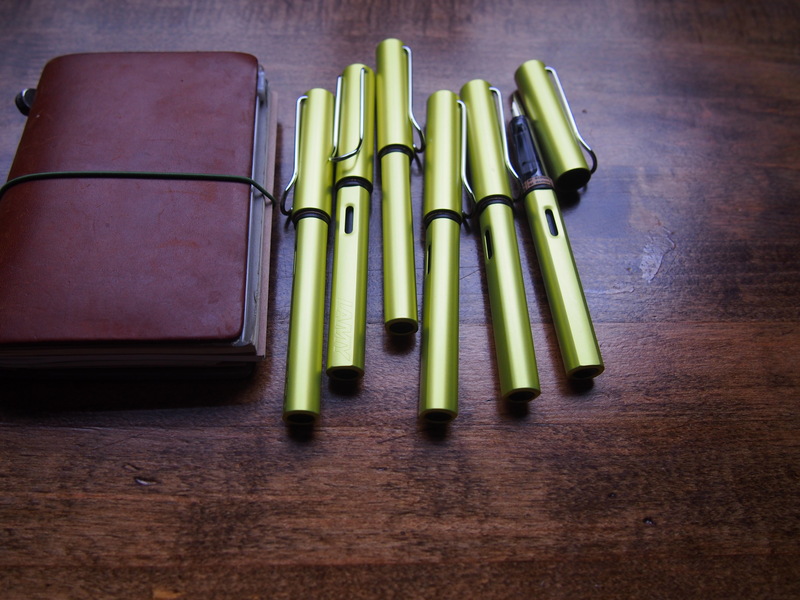 Every year Lamy releases a new colour of the year – last year’s Al-Star was Copper Orange and the Safari was Neon Lime, both personal favourites of mine. This year, they’ve just released their Al-Star, this Charged Green, and in the spring, they’ll be releasing their Safari. It’s hard to quite capture how the green looks in a photo because it’s metallic, but it’s not a really bright colour, although it’s definitely green. A bit subtle, but still something cheery. Would be good in the spring, which I’m already pining after. 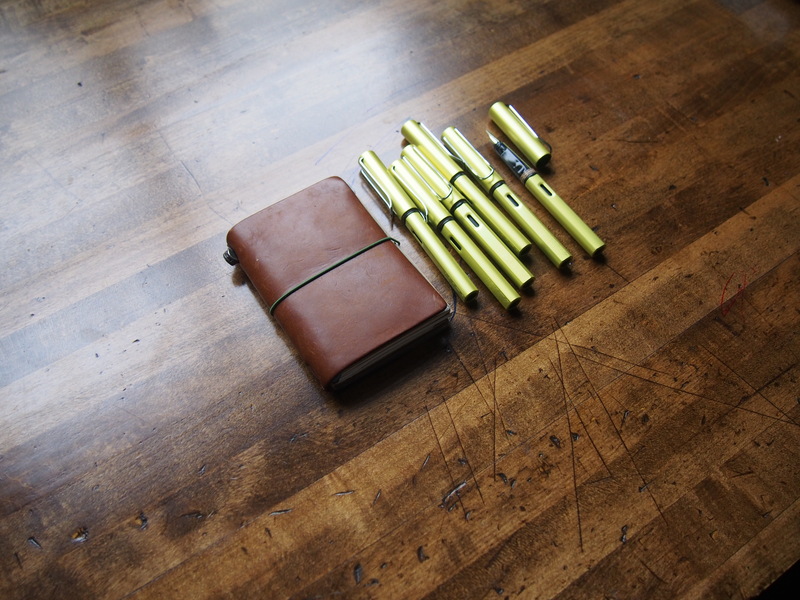 We even brought in a very limited stock of the cartridges and bottled ink in Charged Green. 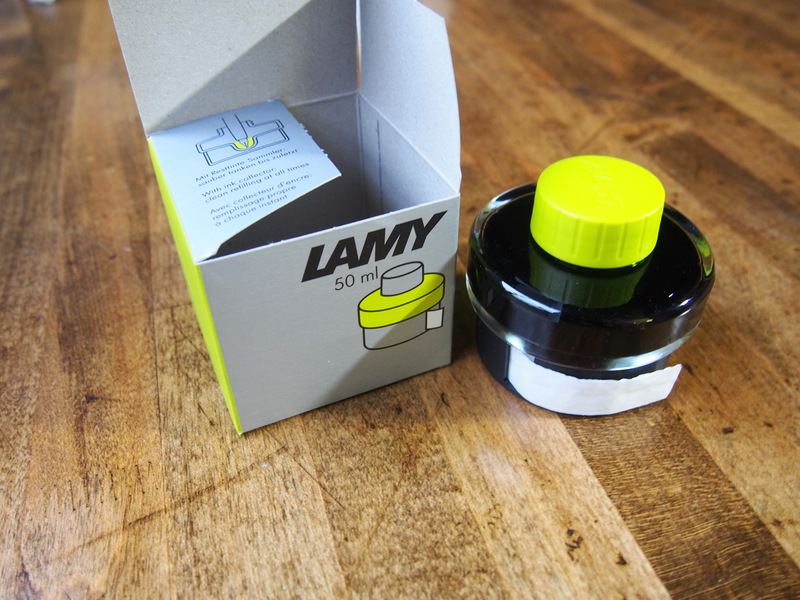 I think this may very well be my first bottle of Lamy Ink, although I’ve heard good things about the Lamy Blue-Black and also the Lamy Turquoise. In other news, I’m going to my first yoga class tonight, which would mark the first time in about two years. Yikes. I used to do yoga when I was teaching, and then after we started the business, there just didn’t seem to be enough time. I did some half-hearted pre-natal yoga when I was pregnant with Caleb, but it’s been a while since I did anything even close to stretching. I’ve been talking about doing yoga in the same way Jon talks about going to the gym, but in some fit of inspiration, Jon signed me up. I guess we can’t use my yoga mat to stop drafts from coming in under the door anymore. It’s looks lovely in this color.